Our Jewish menorah or the candelabra collection is a rich tribute to the age-old Jewish tradition. In view of the great value, meaning and impact of these objects, our designers and glass masters have paid special attention to make them truly exceptional. These branched candlesticks are handmade with 24k gold fired in fused glass. 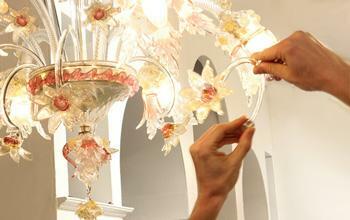 Each menorah is painstakingly produced spending many hours by our glass masters. Several variants, designs and colors are available. You can request for your preferred colors as well. Order a menorah now and celebrate the Hanukkah festival with passion!